I have a very perplexing question that has been bothering me for the last little while. For the longest time, I have been using an app called ES File Explorer for my Android smartphone, which allows me to connect to a shared Windows folder on my Windows PC using my WiFi connection. However, it appears that ES File Explorer now contains a bunch of bloatware and is constantly scanning my SD Card, and alerting me of programs 'requesting sensitive information'. I was wondering if you can tell me if there is another Android app I can use to share my Windows folders, because ES File Explorer is incredibly intrusive and has got to go! " I also used to be an avid fan of ES File Explorer, but the bloatware and bogus alerts forced me to uninstall the app from all my devices. From what I've read online, ES File Explorer was purchased by a third party and it's suggested that they included bloatware so that users will opt for the Pro version. That is not a very good business model in my opinion. Whatever the reason may be, I've replaced ES File Explorer with an app called Total Commander; however, to have the ability to connect to a Windows folder share (using Samba protocol) you will also need to install the "LAN plugin for Total Commander." Go to your Android device (whether it's a smartphone or tablet) and click this link to access Total Commander's app page via Google play. Then, install Total Commander onto your device. Note that you can also install Android Apps if you are currently signed into Google on the PC - there is no need to whip out your Android device to do the installation. Click this link to access the LAN plugin for Total Commander, and install it on your Android Device. 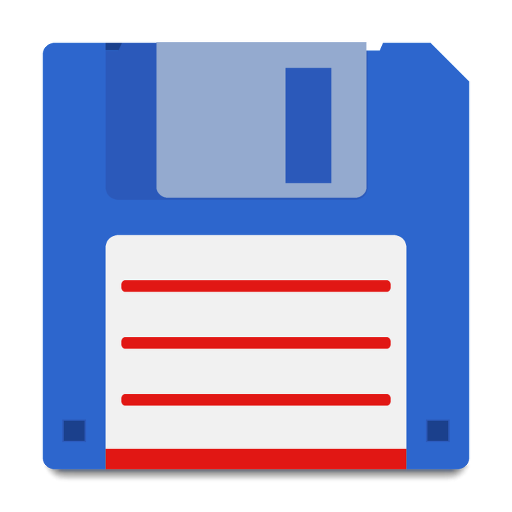 Next, look for the Total Commander app on your Android device; the icon looks like a blue 3.5" floppy disc with a white label. When you find the app, tap to launch it. Once you are at the Total Commander main page, look near the bottom of the list and you will see an option for "LAN (Windows Shares)"; tap to select it. On the proceeding page labeled "///LAN," you will see a green plus sign icon which reads "<New server>" - tap it. An Android window will appear, asking you to "Enter [a] new name for list". Enter in whatever you want to call the network share. On the proceeding page, enter in the name of the server (your computer's name), followed by a forward slash, followed by the folder name you want to access. For example, if your connection is to "My PC" and the folder you want to access is called "My Documents", then enter in "My PC/My Documents". Next, enter in the Windows user name and password on the proceeding lines. Note that this user must already have the same user name and password on the PC you are attempting to connect to, and that user must already have access to the network share; otherwise, Total Commander won't be able to make a connection. There will be an option to "Protect [the share] with master pass"; by default this will be check-marked. If you do not want to enter in a "master password" to access this network share, then un-check mark this option. Click OK to finish. If you entered in the information correctly, the window will close and you will be taken back to the "///LAN" page. If the information you entered is not correct, Total Commander will not let you close the settings page. In that case you can either review your information or tap Cancel. Assuming everything is set, it is time to test your Windows share connection; to do so, tap the connection name you just created. The connection to your Windows share should be instantaneous, assuming your Android device is currently connected to the LAN and the computer you're attempting to connect to is also awake (not sleeping) and connected to the network. If Total Commander shows that it is repeatedly trying to connect to the Windows share, then either you don't have access to the share, or the information you entered is incorrect. If all of this is over your head, or if you need help setting up a Windows network share so you can access your PC files on your Android device, you can contact me for additional support using my remote desktop service. I won't be able to connect to the Android device, but I can connect to your Windows PC and help set up the network access; I can then instruct you on how to make the connection using your Android device. Simply send me an email briefly detailing your question, and I'll do my best to get back to you as soon as I can. Worth saying if people are on a Microsoft account login, the logon name that LAN connector expects is the internal MS userid, you'll have to look in Control Panel to find that. On the User Account screen left menu has 'shield Configure advanced user profile properties' this will display the internal logon name. I followed your instructions (using my Hotmail address and Microsoft password as credentials, as I normally do to log into my PCs if I'm not using a PIN). Then I tried to log in and I got asked for my password again. When I re-entered my password, it asked me for my password again and again. If it keeps asking for your password on a file share then you most likely are not entering in the proper password or your access rights are hosed (somehow). Try resetting the password. If you can't figure it out I can look at it using remote desktop support. Just send me an email and briefly describe the issue and I'll get back to you ASAP.